Free games are always fun. Mainly because they’re free, so they’re easy to get into without worrying too much about getting good value for your bucks. 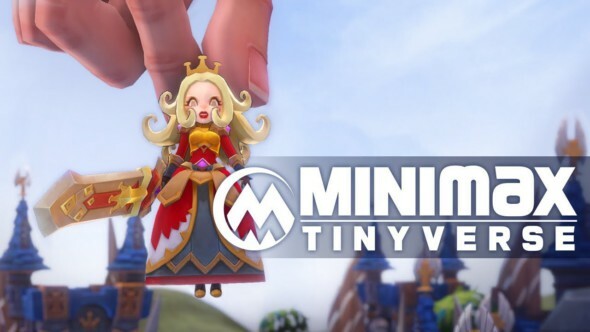 MINImax Tinyverse is a cute little tower-rush strategy game by O’olblue inc. where you get to take on random people online for the honor of calling yourself the best among them all. Currently still in early access, MINImax Tinyverse is a game all about being a god. Not literally, you’re actually just an ordinary kid who discovers two races of tiny beings engaged in an all-out war. At the start of the game you pick which race you want to side with, the humanlike Aillai or the more beastly Creaea. Whichever side you pick decides which troops and champions you get to play within the game, but don’t worry too much because you can actually switch sides at will. After you choose who to pick up arms with, you get to establish your team. A team consists of a number of troops that will spawn in the order you put them in. And then there’s a champion of course, the fearless leader of the gang. 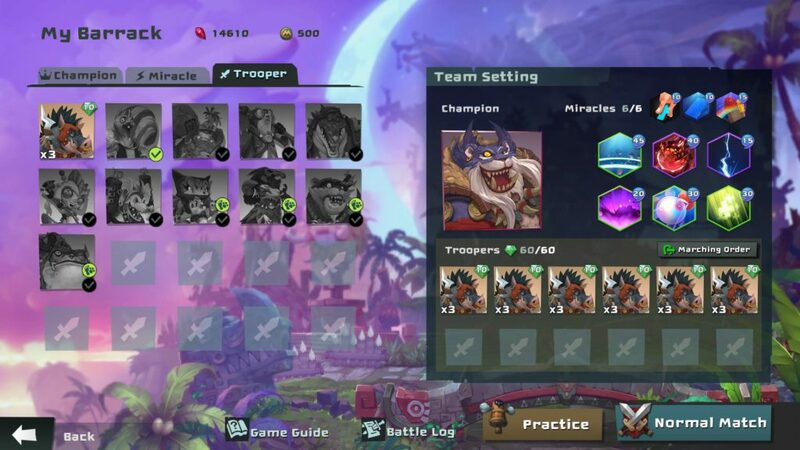 At the start of the game, there will only be one troop and one champion available to you. As you fight it out with other people from all across the globe though, you level up and more assets will become yours for the taking, making it so that you can strategically put together a team befitting your play style. Then it’s time to get into the actually brawling. As a tower-rush game, the goal is to destroy your enemy’s base. Each base consists of three structures. For each structure you destroy, you are awarded one point. When the timer runs out, the one with the most points is declared the victor, while destroying all your enemies towers obviously grants you an instant win. Should you have the same amount of points as the time’s up, you go into the phase named instakill. This phase lasts indefinitely and only ends when one of you manages to destroy an enemy structure, winning the game. As your troops are fighting there are a number of things you can do to aid them in battle. First off your champion has a number of devastating abilities. Some are passive and always in use, but others will need to be activated by you, unleashing a special attack that needs some time to cool down afterward. You can also use your mighty big hand to pick up your champion and deposit them somewhere else on the map, crushing all enemies beneath them. But you yourself also have a number of abilities at your disposal. These are called miracles, fitting with the god theme, and they can range from support, like healing your troops or granting them temporary invulnerability, to offensive tactics that wipe out your foes, meteor blasts or lighting strikes for example. To cast miracles you need mana, which slowly regenerates over time. Last but not least there is the environment itself to play with. Just like with your miracles, you have a few tricks up your sleeves. Tricks like summoning random walls that can significantly slow down or inhibit enemy troops, or ramps that make it so your team can climb up hills. Using these to your advantage will be crucial in winning the match. Another fun little detail is that the map will cycle through day and night every 90 seconds. Daytime gives the Aillai an advantage in attack range, while night will do the same for the Creaea. Taking this into consideration when planning your attacks can be very helpful. Visually the game is also really appealing, with a top-down view allowing you to view and interact with the cartoonish world. 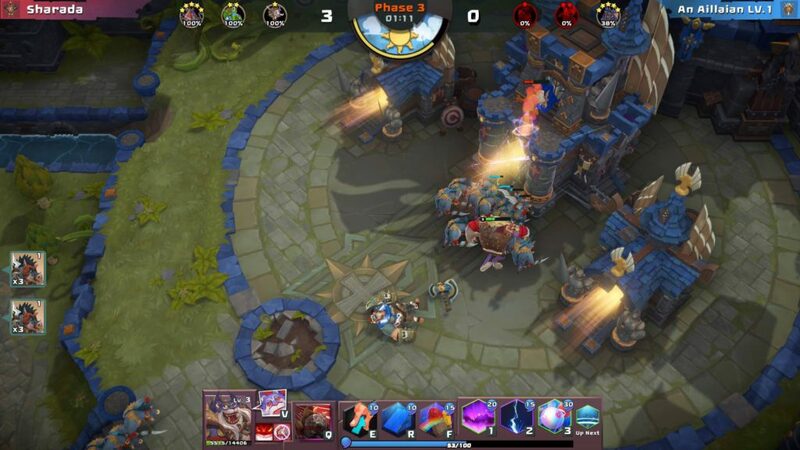 The character designs especially, both champions and troops alike, are very fun, fantasy-inspired and colorful. 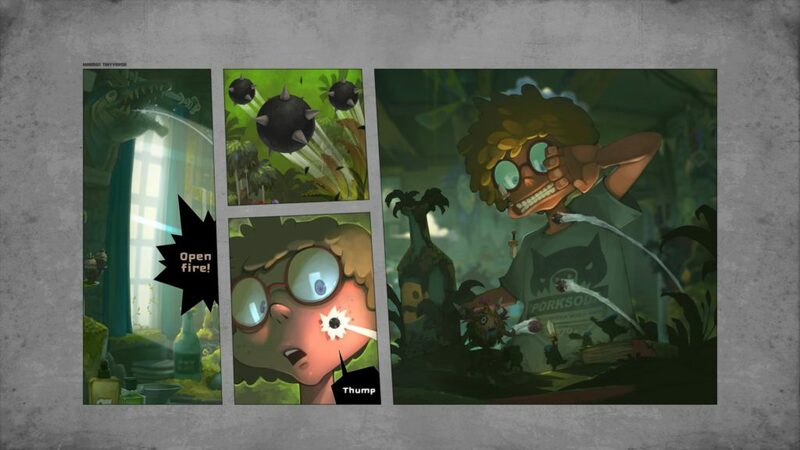 The game is accompanied by an upbeat soundtrack as well as various battle-appropriate sound effects. For example, your troops let out excited battle cries as they plunge themselves into the brawl. The main downside to the game is the startling low amount of players. Despite being out for some time already and being free, it doesn’t seem like a lot of people are playing the game just yet, meaning the number of people you can take on is limited. Hopefully this will change in the future. Currently there is a DLC called Two Realms Unlock that, as the name implies, unlocks a number of new miracles and champions that you otherwise have to purchase in-game. This means that while the game is technically free, some content still costs money. 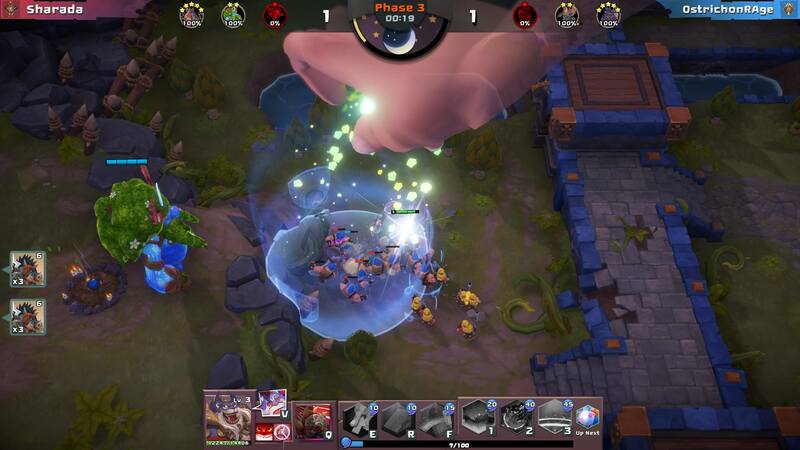 Especially with the new additions slated to be added into the game, MINImax Tinyverse is a promising title. The gameplay is easy to get into, so the threshold for beginners is pretty low. Even if you’ve never played a MOBA before, the unique characters and easy access make this game ideal for first-time players. The appeal of unlocking new champions, troops and miracles will make you eager to level up and keep exploring this interesting world.